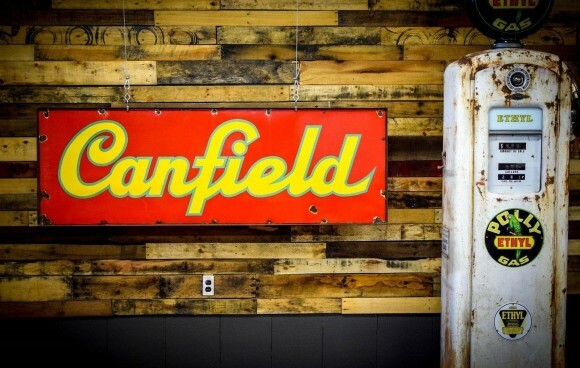 This large red Canfield sign measures 73″ by 25″. The sign is nice and colorful, although it is a text only sign. The sign, written in script, says “Canfield.” the word is written in a yellow color with a pale green outline.